Serious Man In The Library. Description: Serious man in the library. 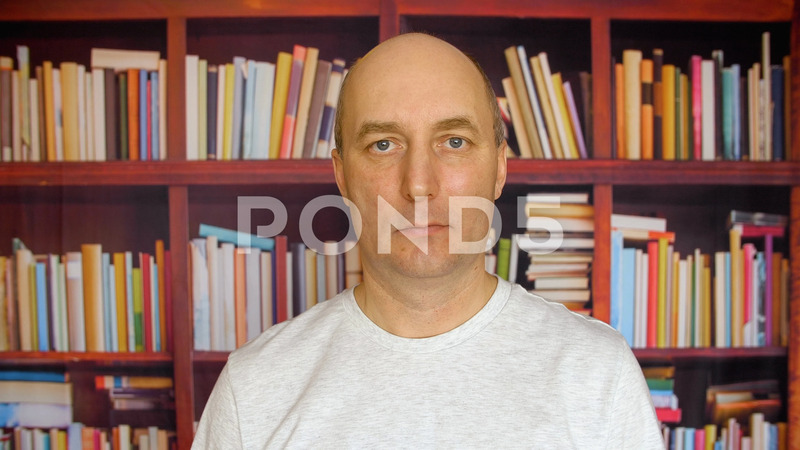 Close up view man with a bald head in front of bookshelves in the library.